Fresh, crunchy pear and extremely lively with a herby, smoky edge. Carignan Gris is a very rare grape and unlike the red variety is very difficult to come by. I was extremely lucky to be able to purchase a small vineyard just outside Tuchan and fascinated to see what style of wine it produced we kept the wine separate and made just 800 bottles. We rather like it! Fisherman’s' Pie, oysters, mussels, roast chicken, grilled fish. Carignan Gris is a pain in the ‘derrier’ for a wine maker as it is a very late ripener. And I mean very late – it actually ripens after all the reds and still comes in at a lower alcohol. I would imagine that this is the reason why most of it has been ripped up. In our first vintage with this grape we thought that is was never going to ripen. We finally picked it mid October. 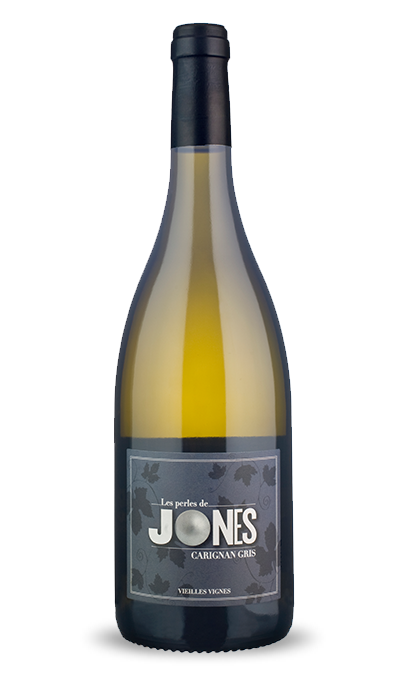 "Rare, characterful Carignan Gris whose smoky fragrance and sumptuously fresh pear fruit is delicately infused with notes of garrigue herb and smokiness." "It's a delicious, characterful dry white with a marked herby edge."